Brent crude oil has continued to trade around nine-month highs in commodities trading markets today. This comes after further violence in Iraq and evidence of economic recovery in China, the world's second-largest consumer of oil. Over the weekend, Sunni insurgents seized control of more territory in the country, while US President Barack Obama has today warned the violence may spread into neighbouring areas, potentially disrupting oil supplies. Anbar provincial council member Ahmed Hashim confirmed militants from the Islamic State in Iraq and the Levant seized control of Iraq's border crossings with Syria and Jordan. Speaking to the CBS television network, Mr Obama indicated the conflict could spill over into these nations. '[The militants] are engaged in wars in Syria where, in that vacuum that's been created, they could amass more arms, more resources,' the President stated. Last month, Iraq produced 3.3 million barrels of crude oil, second only to Saudi Arabia of the members of the Organisation of the Petroleum Exporting Countries. Fears of disruption to this supply caused crude contracts to advance by 1.2% last week, but the violence has not yet spread to the south of the country, which the Energy Information Administration estimates is responsible for around three-quarters of the nation's output. 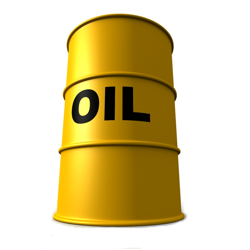 Oil prices have also risen following the publication of latest industrial production data in China. The HSBC flash purchasing managers' index rose to 50.8 this month, from a final reading of 49.4 in May, confounding expectations for a smaller rise to 49.7. This is the first time the result has been above the 50.0 level separating growth from contraction since the turn of the year and has helped to ease concerns regarding an economic slowdown in the country, which is the second-largest oil consumer. On the London-based ICE Futures Europe exchange, Brent for August settlement gained 0.7% for the session to $115.66 per barrel, holding just below the $115.71 mark recorded on June 19th, the highest in nine months.